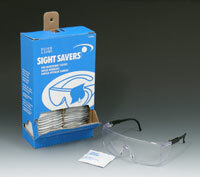 Perfect protective eyewear for visitors. 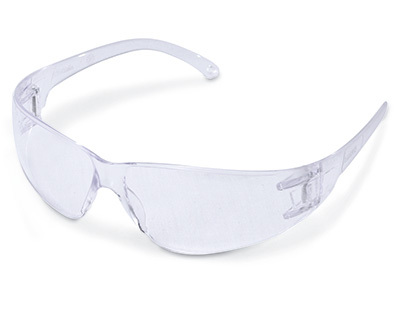 Feature durable, polycarbonate lenses with a scratch-resistant coating in a wraparound design. Flexible temple design allows the use of a variety of cords for added convenience and to help increase wearer compliance. Lenses absorb 99.9% of UV rays. Meets ANSI Z87+ requirements.